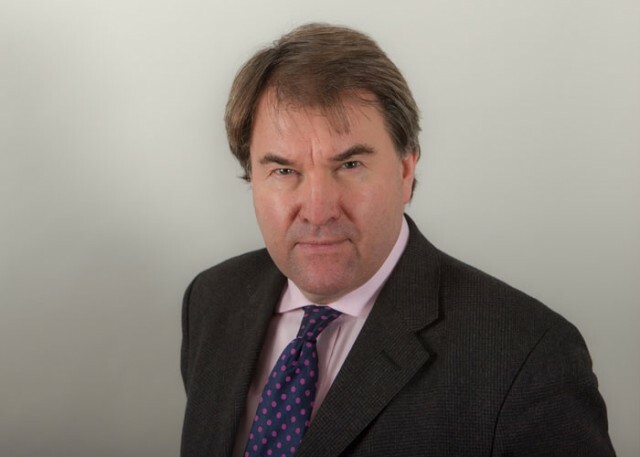 Graham has extensive expertise in heavy weight civil litigation, appearing in the Commercial and Mercantile Courts, the Competition Appeal Tribunal, the TCC, and the Chancery and Queen’s Bench Divisions, along with frequent appearances in the appeal courts. He possesses in depth experience of arbitration, adjudication, mediation and other ADR formats. Graham sits as an arbitrator and provides expert evidence on English Law in foreign cases. Legal 500 and Chambers UK rank Graham as a leading QC in the Commercial, Telecommunications, IT and Environmental sectors. As their research attests, clients prize his keen commercial understanding of business issues. This, combined with his case management and advocacy skills, means that his advice is sought after by clients, not only in his core practice areas, but also in other sectors. He acts for a wide variety of clients including direct instruction from in-house counsel. Graham has experience in most aspects of commercial work including large commercial contract disputes, international guarantees, carriage of goods, agency, regulatory law, insurance, EU and competition law, partnership disputes, local government contracts, share purchase agreements, and insolvency issues. He has extensive experience with complex technical disputes including construction and a variety of disputes involving electronic and mechanical equipment. He regularly appears in the TCC and in technical arbitrations: reported examples of this include the NHS computer contract Ardentia Ltd v British Telecommunications  EWHC 2011 (Ch) (further details) and construction JDM v DEFRA 93 Con. L.R. 133, (further details). Graham is able to handle all aspects of commercial litigation, for example he has been involved in major conflict of laws cases (e.g. Connelly v RTZ  AC 854, Lubbe v Cape  CLC 155, Sithole v Thor, the Times 15th February 1999, Africa v Cape Plc  1 WLR 1545) and large Freezing order disputes (e.g. Banco Nacional de Commercio Exterior SNC v Empressa de Telecommunicaziones  2 All ER Comm. 1093), (further details). He has wide experience in the appeal courts and is also very experienced in most forms of arbitration including ICC disputes. He sits as an arbitrator both in domestic and foreign jurisdictions and is extremely well versed in all other forms of ADR, including adjudications, mediations and early neutral evaluation, across many different sectors. He also has experience of many other areas linked to commercial law. For example, Graham has been involved with most aspects of professional negligence (e.g. accountant's, solicitors', architects' and surveyor's negligence). He is well versed in a number of sports related matters including acting in litigation involving the Brands Hatch and Silverstone racing circuits, acting for several Premier League football teams and advising in respect of the construction of Wembley stadium. He is also experienced in regulatory matters affecting commercial entities, for example he is currently involved with Judicial Review proceedings relating to the jurisdiction of the sector regulator in the postal services market. Over the last 18 years, Graham has acted in a variety of disputes involving various parts of British Telecommunication Plc's legal services and has acted for most of the other major telecoms operators (including 02, Orange and T-Mobile, now Everything Everywhere). Care is always taken by the Clerks and Graham to ensure no potential conflicts of interest occur. He has also been appointed chairman of an overseas appellate arbitration panel hearing regulatory telecoms disputes. In addition, Graham is well versed in all aspects of computer law and information technology. Such is Graham’s reputation in the regulatory field, that he has been instructed by clients from other regulated sectors (such as the postal services market) to act for them. The Ethernet Dispute  CAT 14 (A case involving Ofcom’s statutory powers on dispute resolution under s185-191 of the Communications Act 2003, the application of cost orientation regulation and the effect of contractual terms as to the payment of interest), further details here. Nb. This case is currently being listed for hearing in the Court of Appeal. Graham has been listed in the directories as a leading expert on environmental law for the last two decades. Since his cross examination was first commended in the judgment of the year-long case involving nuclear contamination, Hope & Reay v British Nuclear Fuels  1 MLR 1, he has been involved in some of the biggest environmental law cases that have come to court. He has acted for insurers, large industrial conglomerates, public utilities (such as water and sewage undertakers), local authorities and legally aided claimants and has advised government agencies on environmental issues. Asbestos and mercury poisoning cases: see e.g. Ngcombo v Thor Chemical Holdings, the Times 10th November 1995) Lubbe v Cape  CLC 155, Sithole v Thor, the Times 15th February 1999, Africa v Cape  1 Lloyds Law Report 139 (Court of Appeal),  1 WLR 1545 (House of Lords). A series of cases involving the emissions of toxic chemicals from industrial sites, for example polychlorinated biphenyls, methyl mercaptan, dimethoate etc. Compensation claims under Schedule 12 of the Water Industry Act 1991. Graham has been involved with several arbitrations under this provision. Planning and other issues relating to the siting of Mobile phone masts including EMF and other health risks and the applicability of the Code of Best Practice. Multi million pound disputes that relate to responsibility for Environmental Taxes and levies arising from major road excavations and the responsibility for disposing of deleterious materials. Local Authority street furniture including micro cell technology particularly in light of the Highways Act, the New Roads and Street Works Act, the Communications Act and OFT Guidance on advertising in local authority street furniture. He has lectured on the law of nuisance and toxic releases and has contributed to Management Today’s Corporate Environmental Performance. Reforming Communications Act appeals: a new ERRA?